Yep, it’s that time again for a scary post! This is an example of what happens to people who abuse God’s Word to make a mega-church (with an assistant leader as a woman) with a cult of personality. Glyn Barrett demonstrates why he is totally disqualified as a church leader. The Andy Stanley Cornucopia of false teachings includes sooooo many links to items demonstrating why he should be disqualified from church leadership! More examples of the horrible teachings and abuses of Scripture by Bill Gothard. An interesting article about the Hutterite sect. I hadn’t studied the Hutterites (although I have heard of them) so I did a wee bit of “Googling” to get some information and found this National Geographic article. [link gone by 7/18/18] I see a lot of similarities between them and the Amish and Mennonites, especially with some legalistic practices. Apparently there was a television program by National Geographic which didn’t set well with some of the Hutterites. Of course this is common when cultic groups are examined. Wikipedia has a pretty good article about the history of this sect. Joyce Meyer’s jokes at Steven Furtick’s “revival.” An excellent example as to why her teachings should be avoided at all costs. Doug Evans has an excellent examination of false teacher Steven Furtick. If your “church” does this, leave it and find a God-honoring assembly. Concert performances are not worship services. 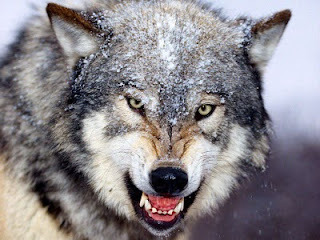 Excellent sermon examining false prophets/teachers, including Beth Moore. Is John Piper disqualifying himself as a pastor? Several years back the Emergent movement came up with what became known as “The New Perspective on Paul,” which is nothing but more heretical theology. I came across articles on the subject by Gary Gilley, which were in my file, and decided it was something which should be made available for as many people as possible so everyone can avoid this false teaching. It’s a three part series: part 1, part 2, and part 3. Refuting Word of Faith teachings. I was probably one of the original haters! The photo below is a card tract from PinPoint Evangelism. 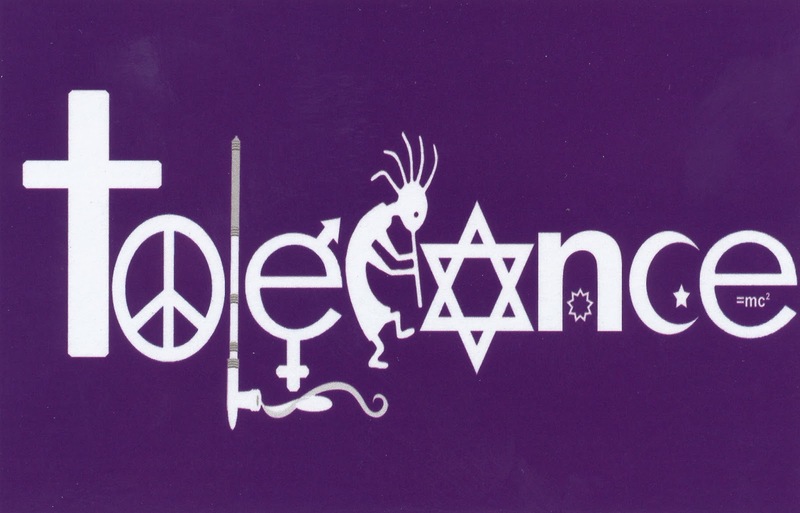 I like this tract in that this front side is an attention-getter using a current design used by the same people who brought us the “Coexist” and “Respect” memes, all using religious and science symbology for the letters. The back side has some good teachings, which I will share with you here. Bear in mind that there are no paragraphs on the card, but for ease of reading here I will format to paragraphs while leaving the rest of the format and fonts as they have them on the card (except I can’t put the 2 up as squared). The word spelled out on the front is “Tolerance.” It is a variation on the “Coexist” design and includes (from left to right) a Christian cross, a peace sign, a Native American Indian pipe, thte male and female symbols, a Kokopelli, a Jewish Star, a Baha’i 9 Pointed Star, an Islamic Crescent/Star and Einstein’s formula e=mc2. Can’t we all just get along? 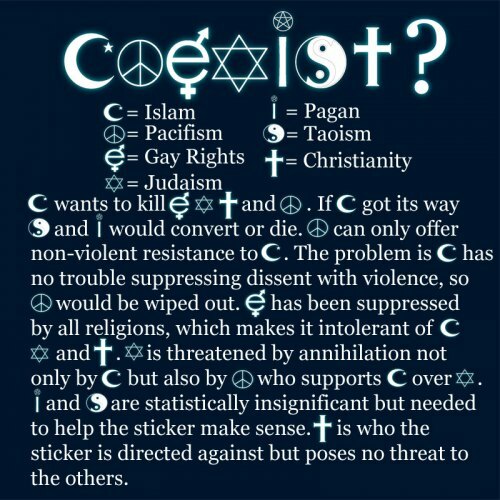 Can’t we just stop fighting and be tolerant of each other? Isn’t that what Jesus was all about… TOLERANCE? Actually, no, that wasn’t what Jesus was all about. In John 14:6, Jesus said, “I am THE WAY, THE TRUTH, and THE LIFE. No one comes to the Father EXCEPT THROUGH ME.” That sounds pretty intolerant and politically incorrect, doesn’t it? In Matthew 7:7:13-14, Jesus said, “Enter by the narrow gate; for wide is the gate and broad is the way that leads to destruction, and there are many who go in by it. Because narrow is the gate and difficult is the way which leads to life, and there are few who find it.” Few on the way to Life and Many on the way to Destruction? That doesn’t sound like a “tolerant Jesus,” does it? In Revelation 21:8, Jesus said, “But the cowardly, unbelieving, abominable, murderers, sexually immoral, sorcerers, idolaters, and all liars shall have their part in the lake which burns with fire and brimstone, which is the second death.” Jesus sounds REALLY intolerant in that verse! God doesn’t tolerate sin or sinners! God is willing to forgive sinners because of what Jesus did on the cross though. Christ died for you, shedding His precious blood that you might have forgiveness of sins. Turn from your sins (repent), Trust in Jesus Christ and begin Obeying/Following Him! He will forgive you of your sins, pardon you of your punishment and empower you to live Holy! Tony Evans is usually a pretty good teacher, but I have a lot of problems with the false teachers he spends time with — and the fact that he endorses his daughter’s false teaching. Well, I guess I’ll have to alert people to some teaching he has which is aberrant — his spiritual warfare ideas. Don’t buy his book. Steven Furtick’s idea of teaching. Evangelical Misogyny and the Spiritual Oppression of Christian Women. Excellent, concise analysis of the problem. Joyce Meyer at the “heresy Olympics” doing what she does naturally — teaching falsely. Dennis McBride examines Muslim dreams and visions if Isa (Jesus): part 1 and part 2. Biola University has joined the apostasy of enabling homosexuality. Another conference claiming to do God’s work: World Race and Adventures in Missions is having a gathering for all sorts of false teachings and false signs and wonders. They seem to think they control the Spirit! Stay away from these people! Lyndon has part 4 of his series on Generational Curses. Oh horrors — Tony Campolo refuses to call himself an evangelical anymore. HAH - he never was one!! The Jesus Calling Devotional Bible has just as much false teaching — and is just as dangerous — as the Jesus Calling books. Sarah Young thinks her writings are the Word of God. 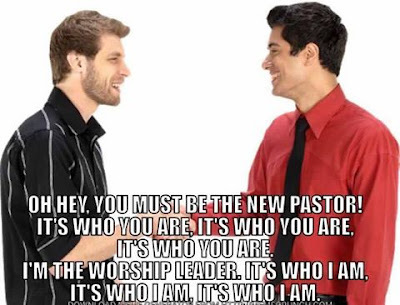 First, I want to make a point that the people leading the music are MUSIC leaders and not “Worship” leaders. Music is just part of worship. The following is a modified version of a letter I wrote to the pastor and “worship” pastor at the assembly where we currently worship. I wrote it as a thought-provoker. Before I get to the meat of this letter, I’d like you to look at the lyrics in the following songs. As you read the lyrics you may see that there is nothing really wrong with them. The first song is intended for communion times, the second is just encouragement about the Word, while the last is an encouragement in a relationship with Jesus. Though in the darkness you've gone astray. From ev'ry land and isle of the sea. Ever he calls, "Come to me." Now, just looking at the lyrics I don’t think anyone would find anything really objectionable about them. Therefore Christians would probably be more than ready to use these songs for worship. However, what if I told you these songs were written by and for Mormons, and are in the Mormon hymnal? Does that change things? I would hope so. No matter how sound the lyrics seem, knowing where they come from should immediately eliminate them from use by Christians! We should never use songs from sources which have false, aberrant or even heretical teachings. Okay, so what about some of the songs we sing in Christian assemblies — are we using songs from sources which have aberrant, false, or heretical teachings? Sadly, the answer is an emphatic “YES.” I think it’s because most people aren’t aware of the problem. Often the lyrics of these songs are innocuous, but they get very repetitive so as to work up the emotions. More often the lyrics are vacuous and esoteric. 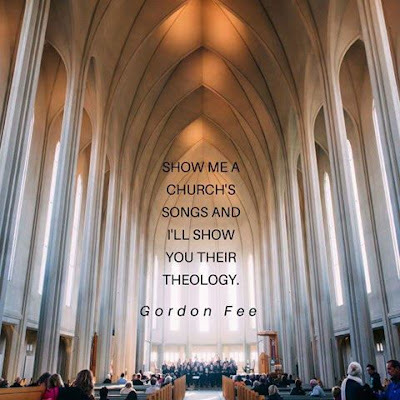 More importantly, no matter how theologically sound the lyrics may be, by using the song we give tacit approval to the teachings of the source. Not only that, we also help finance these sources, and help spread their teachings. Source #1. The teachings of this “denomination” include modern-day apostles, dominion theology, “strategic level spiritual warfare,” false signs and wonders, focus on “works” of the Holy Spirit, and that everyone has the same spiritual gifts as the apostles of the Bible. In the previous assemblies where we worshipped, I refused to sing any song from this group. So what is this source? Vineyard. Many of theirs show their charismatic foundation, but many have decent lyrics; however, their origin should still eliminate them from our services. Source #3. Very similar in ideology and theology as #2, this source’s “worship” services routinely resemble a rock concert. It is essentially a cult of personality, focusing on the leader. Homosexuality is not condemned (although not really promoted), and one assembly had worship leaders who were a homosexual couple! (One of the main leaders said they don’t want to address moral issues because they might offend people, and brags about how many homosexuals attend that assembly.) Some of their “performances” (they cannot really be called worship services) have had some really crude and deviant skits. Their leader has often stated that Christians and Muslims worship the same God. What makes this group even more dangerous is that they are spreading primarily because of their music! As with #2, the youth is their primary target. They seem to have more songs invading the church than the other groups, which is giving them more popularity. Like #2, songs from this group just started invading our last assembly shortly before we left. The group? Hillsong! What finally got me to write this was a song our assembly used recently, “Praise the Name of Jesus,” from Latter Rain. Latter Rain is a dominionist teaching, with the “Manifest Sons of God” and “Joel’s Army.” A lot of aberrational charismania is taught by Latter Rain groups. I was truly taken aback when I saw the origin, and couldn’t sing it. It is the first time I’ve ever seen a Latter Rain song in any assembly we’ve ever attended. Because I know the origin of the songs by these groups, I can’t sing anything from them, just as I would refuse to sing songs by Mormons. I think it is great to have a mix of good contemporary songs and traditional hymns, but even with both we should be discerning as to the content of the lyrics as well as their origin. I highly recommend that you discontinue using material from these sources. The Scripture lasts down quite plainly not only that we are to preach the gospel, the true message, but also how we are to do so. It tells us that we are to do so with “sobriety” and with “gravity,” in fear and trembling, in “demonstration of the Spirit and of power,” and not with “enticing words of man’s wisdom.” But today evangelistic methods which are a flagrant contradiction of these words are justified in terms of results. “Look at the results,” men say. 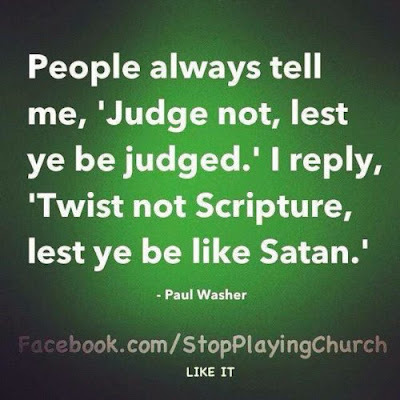 “Such and such a man may not conform to the scriptural method, but look at the results!” And because of “the results” the plain dictates of Scripture are put on one side. 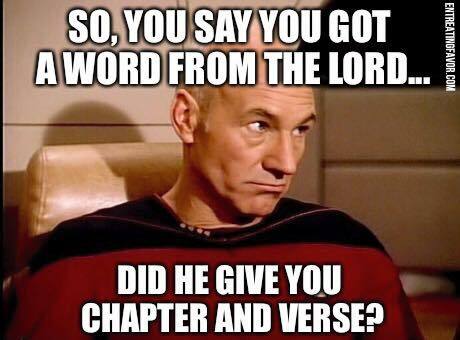 Is that believing the Scriptures? 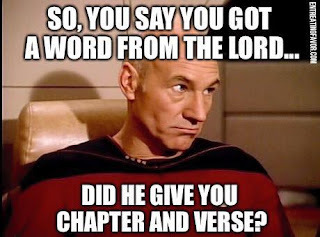 Is that taking the Scriptures as our final authority? Is not that repeating the old error of Saul, who said, “Yes, I know, but I thought it would be good if I did so and so.” He tries to justify his disobedience by some result he is going to produce. We Protestants, of course, hold up our hands in horror at the Roman Catholics, especially the Jesuits, when they tell us that “the end justifies the means.” It is the great argument of the Church of Rome. We repudiate it in the Roman Catholic Church, but it is a common argument in evangelical circles. The “results” justify everything. If the results are good, the argument runs, the methods must be right—the end justifies the means. If you want to avoid terrible disillusionment at the day of judgment, face Scripture as it is. Do not argue with it, do not try to manipulate it, do not twist it; face it, receive it and submit to it whatever the cost. Bill Johnson claims that God does not cause illness, and He never chooses not to heal! A Review of Bill Johnson’s book, When Heaven Invades the Earth. Did you know that God gave every believer the same power to heal that Jesus has? That is another lie told by Bill Johnson. I really wish those like Bill, who preach such healing powers, would spend their lives in hospitals and cure the many patients. Or go to Africa and cure people of Ebola. They don't do so because they are fake-healers. Bill Johnson and Bethel Redding are part of the New Apostolic Reformation movement. A brief summary of all of Bill Johnson’s teachings. Nothing less than cultic. Bill Johnson and his associate “pastor” Kris Vallotton want the mantle of heretic William Branham! They can walk on water or walk through walls! Scripture twisting with a vengeance. And let’s not forget the “glory clouds” at Bethel. More proof that Bethel Church is not about God or Jesus, but about the devil and all the distractions away from the true Faith. Oh, but you can get Bill Johnson’s “Revival Collection” sermons on thumb drive for the bargain-basement price of $400! On top of this, Johnson’s cult followers are incensed that this stuff has been exposed and reported! Bad fruit from Bethel Church. Then there are young people from Bethel church demonstrating why Johnson is such a false teacher. The entire video is interesting, as Christians are warning people coming to Benny Hinn’s goat-pen. But at about the 45 minute mark the group from Bethel begin their false teaching, condemning the Christians for exposing a false teacher/heretic! The cultic nature of Bethel Church. Bill Johnson, Bethel Church and the Kundalini Spirit and other false spirituality. Christianity Today Astray has an interesting article about Bethel Redding. Bethel’s youth leader said that Jesus asked him for forgiveness?!? False prophetess Heidi Baker gives “impartations” at Bethel. Heidi Baker is a frequent teacher at Bethel, and her “prophecies” get really bizarre. Bethel has a Holy Spirit fire tunnel — and the false teaching just keeps on growing there, along with false “prophetess” Heidi Baker’s lies and impartations. It is getting less and less rare to see such absurdly unbiblical and demonic nonsense at Bethel. Heretic Patricia King got a “prophetic word” from the Lord, and Beni Johnson thought it was so good that she shared it with the Bethel Redding congregation. False teaching spread by false teachers — go figure! This article shows Beni sharing it, along with other examples of King’s false teachings. Bethel Redding has in the past claimed that angel feathers have been found in their assembly. I don’t know if they still find them, but this article shows some of foolish false teachings there. A new false teaching has come from Bill Johnson’s apostate Bethel Church in California: SOZO - “a psycho-spiritual deliverance and inner healing methodology” (as noted by The Berean Call). You’ve got to read this one to believe it. This site has a lot of thorough examination of Bethel and SOZO. Bethel Music is just as dangerous as its origin. This article includes an introduction to just who “Jesus Culture” is and what their beliefs are. Here is a wee bit more about “Jesus Culture” and the false teaching behind them. Ken Silva had two very interesting articles which I highly recommend. First, he highlights Jesus Culture’s Kim Walker-Smith and her false teachings about her encounter with God and Jesus. The other article examines the connection between Jesus Culture, their church home of Bill Johnson’s Bethel, and rank heretic and false prophet Cindy Jacobs. JESUS CULTURE—OF BETHEL CHURCH—AND PRACTICING RAISING THE DEAD. This article discusses Bethel, Jesus Culture, and associate pastor Kris Vallotton, exposing occultism, claims of prophetic office, false teaching, poor hermeneutics, etc. A video — 1 hr 10 min long — exposing the theology of Jesus Culture: occultism, slain in the spirit, spiritual drunkenness, holy laughter, false signs and wonders, etc. Jesus Culture’s Kim Walker-Smith claims to have seen God. Additional information about Johnson and Jesus Culture, and including highlighting false prophetesses Patricia King and Cindy Jacobs and their association with Bethel. This video demonstrates some of the occultic ideas Jesus Culture professes, including getting an imparting of the Spirit from dead people - they pray to “release the anointing of God” from the corpse of a dead man (“grave sucking”). They claim to know that God is healing someone as they speak - not just once, but at least twice in the video. This group is dangerous to non-discerning Christians; and they are “more dangerous than bad politics.” And don’t forget that they are a ministry of Bill Johnson’s church, which, again, demonstrates the nature of the false teaching HE propagates. Somebody Needs to Set Jesus Culture’s Worship Music on Fire. “Pastor” Kris Vallotton embraces anti-trinitarianism. Weird New Age teachings at Bethel, and their prayer house is topped by a pyramid! Understanding Johnson’s teaching via this review of his book, When Heaven Invades Earth. AAAANNNNDDDD, Bill Johnson recommends heretic Todd Bentley. One false teacher pimping another false teacher. What are Bill Johnson's heresies? Todd White and his church Bethel Redding are 100% frauds and tools of Satan. Bethel continues to prove how heretical it is: Benny Hinn was there for an evening service! Their horrid indoctrination of children into heresy and apostasy. A very good examination of Bill Johnson’s teachings. What about their "Supernatural School of Ministry"? Bethel Redding teaches “Firestarters,” to “activate” your prophetic gift. Cranking out more false prophets. Bethel Church’s Bill Johnson’s SOZO “ministry” is very, very dangerous. Bethel Redding and SOZO. Long video, but very informative about such horrendous false teachings. Bethel, Hillsong, and associated false teachers are going to “bring Heaven to Earth.” Just look at the names of the participants to know who to avoid. Bizarre NAR activities at Bethel Redding. That place is NOT Christian. The NAR and Bethel just get more and more bizarre. More on Christalignment. Kris Vallotton of Bethel Redding has approved of this group. There is nothing Christian about this. Proof positive that Bethel’s Kris Vallotton preaches a gospel of wealth. More false claims of healing by Bill Johnson and Bethel Redding church. Bethel Redding can’t get bizarre enough. They teach more and more Word of Faith theology (“little gods”) and false signs and wonders.